London's top rated zinc contractor! Rated London's #1 zinc contractor. There are a multitude of reasons why you would choose Zinc roofing in London. Natural (Bright) zinc is marginally cheaper in price as it is the only zinc product we install that hasn't been treated. The pre-weathered zincs range from various shades of grey, i.e. Blue/grey, quartz, graphite or Anthracite. Whether its a small dormer or large extension your building, zinc roofing in London is the ideal choice for a modern contemporary look which we guarantee for upto 25 years. Whether you are a bar / public house or a restaurant or cafe, we have a bar zinc worktop to suit you. Not only do zinc bars and copper countertops provide a fashionable and cosmopolitan look, it is one of the most hygenic natural materials available, ideal for food and drink preparation and service areas. Interested in zinc roofing in London? Then call a member of our dedicated sales team and see why we are London's number one contractor. Eco Roofing are a family run business who have been established and gaining experience for over 20 years throughout London and the south east. Based in Croydon we have built a fantastic reputation for the high standard of service. We have completed and we aim to continue building our reputation with the range of services that we have available. Whether your project is a large commercial site or small domestic build, we dedicate ourselves to every job and every client. We pride ourselves on all work that we complete. In 2002, we fitted the London Bridge Dome, winner of the John Smiths Copper Federation Award to name but a one of the accolades we have collected. This is one of our best achievements, but we also have a wide range of experience completing many other projects in Croydon, Bromley and the surrounding areas. We are always happy to offer advice and support to every client regarding zinc roof installations or the other designs. All our roofing materials come with a 25-year guarantee, showing the dependability and trust that we have in the materials we use. Our aim is to provide you, the potential customer, with the knowledge and peace of mind that a quality zinc or a copper roof does not mean high prices. 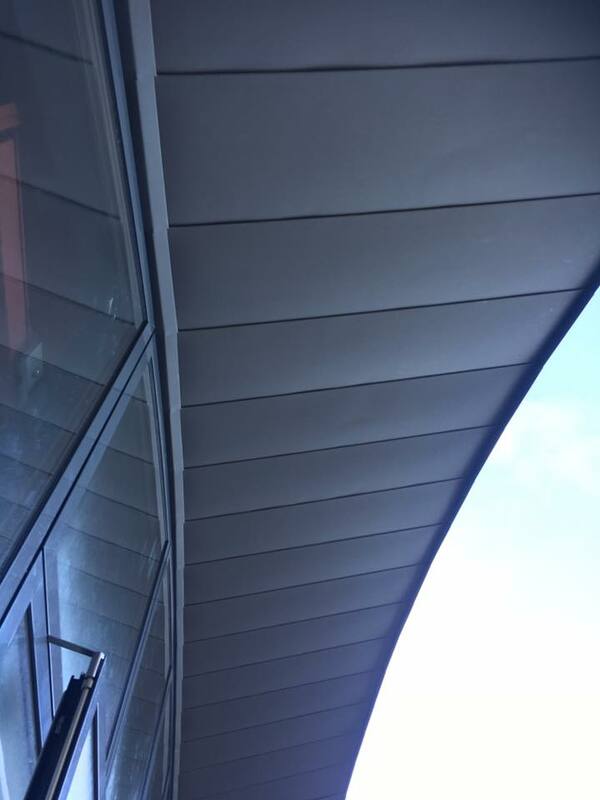 Having a zinc, copper or stainless steel roof will save you money in the long-term and requires next to no maintenance Durability: These materials are designed to last. Guaranteed to last at least 25 years and partnered with VmZinc means our products come with a 30 year warranty. Finish: There are a multitude of different finishes to choose from. Natural (Bright) zinc is marginally cheaper as it is the only zinc product we install that hasn't been treated. The Pre-weathered zincs range from various shades of grey ie; Blue/grey, quartz, graphite or Anthracite. Ssubtle colours such as the pigmento range which are a quartz grey with a hint of colour, blue, green or red. Finally, the Bio-laquered zincs, bright bold colours that will make the dullest building stand out. Affordability: The price of metals are at the mercy of London metal exchange. So prices will vary but in most cases, it is cheaper than lead and less restricted in terms of building regulations. Maintenance: There is none, these are natural materials that are self-weathering. Natural zinc will dull down over time from its original shiny metallic finish to a matte grey. Copper will over time go brown and finally green. When you need zinc roofing in London or zinc cladding in London, Eco Roofing is the team to trust. We are a family run business with over 20 years of experience to call upon. Eco Roofing are a, diverse and innovative roofing company, newly established in the local area and striving to expand upon our already enviable reputation for excellence. Offering a professional, reliable and trustworthy service. In 2002 we fitted the London Bridge Dome, winner of the John Smiths Copper Federation Award. Unlike mineral felt, it has a very long life span and comes with a 25 year guarantee. For more details, call our expert team today. In addition to our outstanding work we have won many awards and distinctions along the way. We are honored to have been chosen as one of a few contractors in the UK to be apart of VM Zinc's At Work Partner Installer scheme, giving you the client the advantage of an extended 30 year warranty and piece of mind that we are endorsed by VM Zinc.